← Charleston Part 1 Through the Eyes of a Runner. Let me begin by apologizing to all you readers who were looking forward to my Friday Charleston Recap Post 2. Due to some technological malfunctions I was unable to post this weekend BUT you can look forward to part 2 tomorrow and a post about God’s grace and provision on Wednesday. This weekend was a wonderful one in Philadelphia. I had gone up for a good friend’s wedding and while there I got to run, hang out with friends, do the wedding coordinating, and go to the beach! 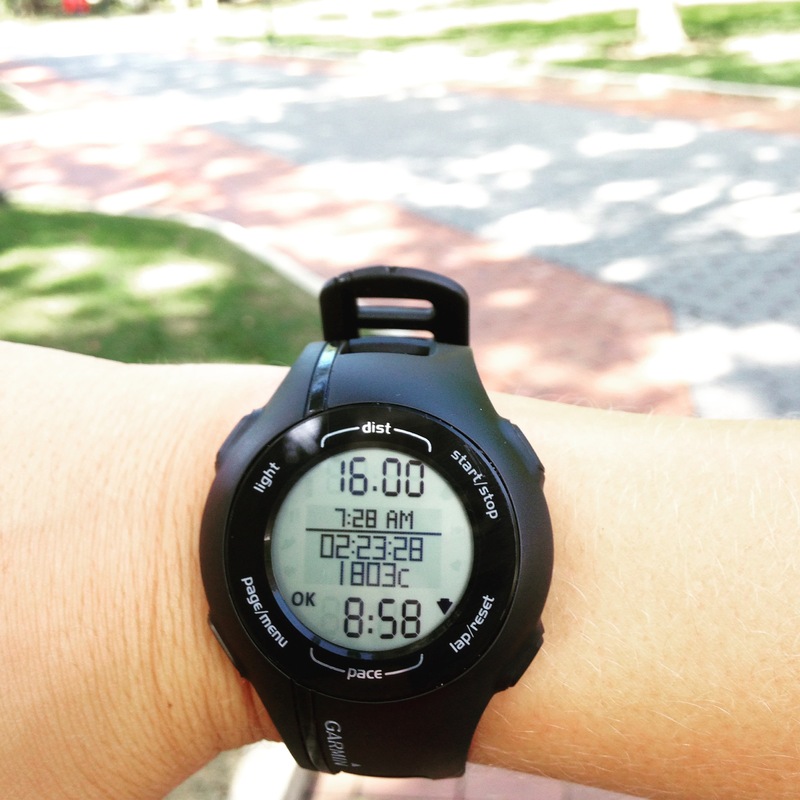 Because I was going to be back on a Saturday (and that is when I run with the running club the Philly Runners) I decided to do my long run that day. I left at 7:30 with two Gu’s, a water bottle, and determination. When I got to the Philadelphia Museum of Art I got to catch up with a few of my favorite people in the club and meet some newbies before we took off. My plan was to stick to 9-9:30 miles for all 16 and that meant joining the 9 minute mile pace group. Well off we went and I was enjoying talking to one of my new running friends so much we were breaking 9 minute miles by a lot (20-30 seconds). Being a two time marathon runner she had answers to my litany of questions and I used her as an example for when I should fuel. I think it was just about perfect. The night before I had carbo loaded on beer and pizza and started Saturday morning with a bagel and cream cheese. I waited til mile 5.5 to take my first Gu and for the first time took it all at once because there was a water fountain. Two water fountains and 3 miles later I took half of my second Gu and finished it off at mile 12. My stomach didn’t revolt anything (water or Gu) like it sometimes does and I felt fairly strong right up until the last minute! Thanks to my awesome running friend the run went by so quickly. When looking down at my watch I was expecting it to read average 9:30 miles but it was actually average 8:58 mile splits! It felt AWESOME! Seeing 16 was really special because it means only 10 more miles to add! After the run to recover I downed these three things as I stretched it out. First the Ocean Spray PACT because juice sounded good, second the Muscle Milk because I needed some protein to help me not be sore the next day, and lastly the sparkling lime drink because I crave carbonation after a long run. 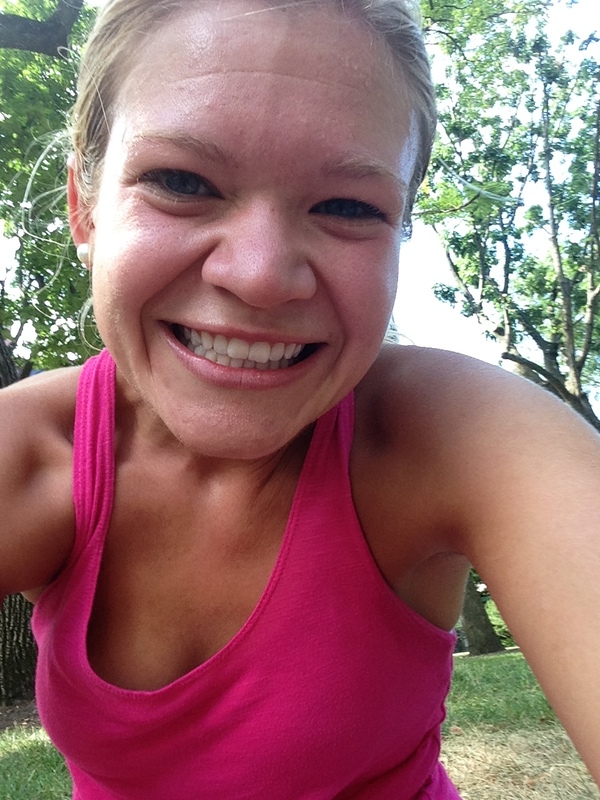 This is how I felt about my run! While stretching I ran into three of my lovely friends and ended up hanging out with one until leaving for the wedding. Easily Alyssa was one of the most beautiful brides I have ever seen and I can’t wait to hear all about hers and Stephen’s honeymoon when they return! Congratulations the #newlywoods!! 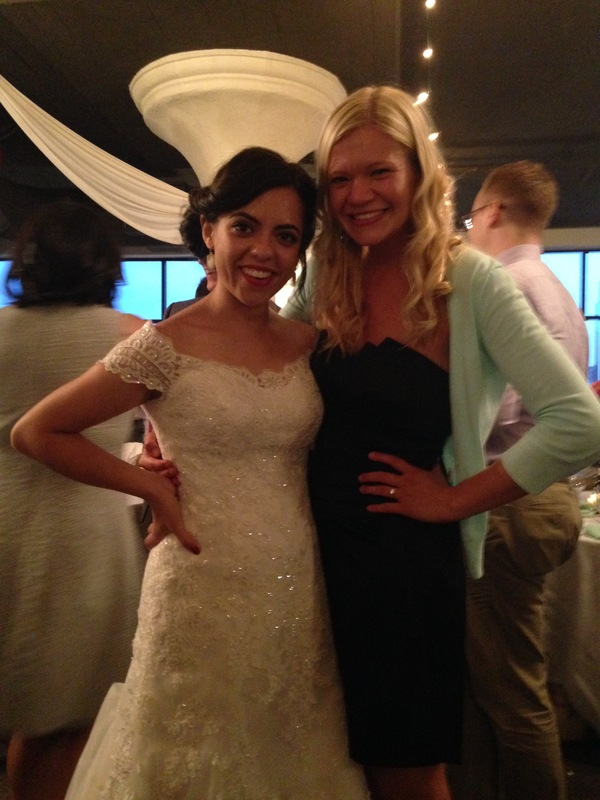 Thanks for letting me be part of your special day! Great job with the 16 miles!!! 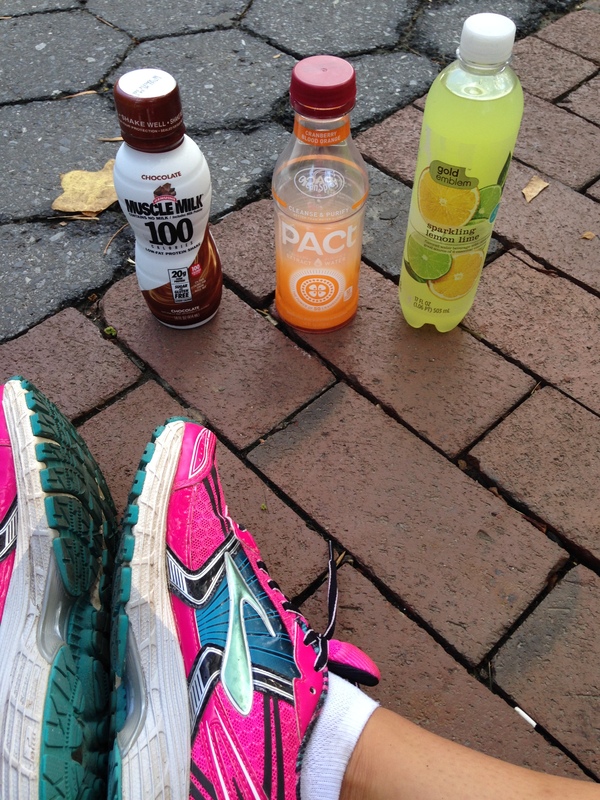 And, random question, since you mentioned taking the water and Gu with you… Do you run with a backpack? It just crossed my mind and I was curious lol.